Qatar is one of the progressing countries in the world. They developed their countries facilities to the high standard that Qatar is attracting a lot of immigrants for tourism and job purposes. Qatar is also the first GCC country to host a FIFA world cup after they grab the hosting opportunity for the 2022 FIFA football world cup edition. This achievement considered to be one of the big turning points for Qatar and their popularity among immigrants, tourists, etc. India and Qatar share a great international bond and around 1 million indian immigrants are staying in Qatar and building their life. Being one of the best countries in the world, Qatar has very efficient immigration policies. Their visa formalities and their Attestation Procedure, Certificate Attestation Rules, Employment Visa Attestation, etc are very secure and efficient. Qatar is a desert paradise for immigrants who seek a better life. Qatar enjoys its status of being one of the richest countries in terms of per capital income with an approximate $124,930 amount being earned by each Qatar citizen. Due to their high standard of living and high safety measures, Qatar is considered to be the safest country in the middle east area. By encouraging multicultural acceptance, Qatar offers a refreshing time while anyone visiting or living Qatar. Qatar has courageously bid for the 2022 world cup which turns out to be the best decision from a marketing perspective. Winning the FIFA world cup bid for 2022 edition definitely raise their international value as Qatar was the underdog among other bidders and raising as the winner among the biggies made that achievement a sensational news. This achievement increased the tourism and immigration for Qatar. Talking about the development and immigration policies, Qatar went on step ahead and implementing the electronic visa procedure for a much simplified, accurate, efficient visa and Certificate Attestation Procedure. As per the new system, visa process and attestation can be done from the home country on a completely computerized platform. This will ensure a smooth visa process for those Qatar employers who want to take expert employees from outside country. The new electronic system will protect the rights of immigrants workers and employer by documenting the job contract between them even before entering Qatar. 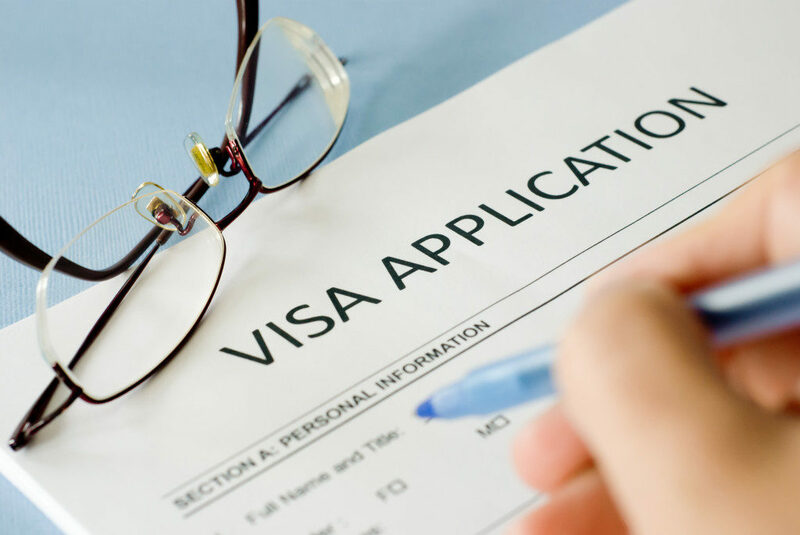 This will short the visa and attestation processing time and the requester can complete the immigration formalities within few days with the help of Professional Attestation Services. The Project will be implemented in 8 countries in the first phase and will make it gradually available to other countries. Below listed are the 8 countries which Qatar government selected for the initial phase of Electronic Visa Process. These 8 countries would be the first initial countries that Qatar testing this electronic visa facility first. Based upon the result shown by the immigration in these countries, Qatar will extend the service to other countries. The process for Qatar employment visa starts by employer filling the Visa form in the Qatar government site https://portal.moi.gov.qa/ . After Employer submitting their form, the worker in the home country can book their appointment via https://qatar.vfsevisa.com/ for completing the bio metrics, medical and work contract procedure. This will reduce the follow up and appointment scheduling time which otherwise had to directly arrange or take appointments from government offices. That would be a total time waste when wasting a day or 2. However, all Document Attestation will be done via normal process, but the status of your attestation can be tracked in the official site once it reaches the Qatar Embassy for embassy attestation. Here we are explaining the enhanced attestation process after the new electronic visa process. The initial stage of attestation procedure is to submit the original document at the state department. Home department will initialize a ground investigation at the certificate source. They will check with the source institution or office to confirm the credibility of the certificate. Once the certificate’s credibility confirmed, the investigators will submit the report to the home department and that will lead to attestation from State home department. Once the certificate is attested from state home department, MEA will receive the certificate. MEA is responsible for authorizing the attestation on behalf of India. MEA will check the attestation done by the state home department and their remarks. Once MEA confirms the genuinity of the certificate, They will attest the certificate on behalf of the Indian government. If the certificate attestation is for Hague Convention member countries, MEA will do a special stamping and will upload the attestation and requester’s data into the official global site. For non Hague Convention member countries, MEA will send the certificate to Qatar embassy in India after MEA attestation. After receiving the certificate from MEA, Qatar embassy will validate the certificate. From this point of the attestation process, certificate information will upload in the Qatar government official site so that employer and worker can track the certificate through online. Qatar embassy will attest the certificate if they find it genuine and will forward it to Qatar Ministry of Foreign Affairs. Simultaneously they will also upload the details to the Qatar embassy. Qatar Embassy will forward the certificate to MOFA for MOFA Attestation. Mofa will verify the certificate and check the remarks in order to confirm the credibility of the certificate. On the other hand, Qatar officials will update the status of certificate attestation after each step so that tracking the status becomes easy for both employer and the requester. Based on the validation, Ministry of Foreign Affairs will attest the certificate. This MOFA attestation will consider as the declaration of Qatar government that the candidate has a genuine certificate and it is valid all over Qatar region. Parallelly, Qatar officials will upload the status to Qatar official website where the attestation process can be tracked. The difference in overall attestation process is the start of the tracking mechanism. This is not really changed the process of attestation, however, tracking the status becomes easier as requester does not have to follow up with officials or Attestation Agencies. While the new visa processing formalities simplified the immigration process, attestation procedure will be the same with an addition of tracking facility from Qatar government site. Attestation process is still considered to be a lengthy procedure due to the involvement of 2 different countries and their official procedures. The best way to reduce the time factor in attestation process delays is to approach the Best Attestation Companies who can provide the Best Attestation Services. NEW INDIA Attestation is one of the prime attestation services in the GCC region. We provide the Fast Certificate Attestation at affordable Attestation Charges. NEW INDIA is among the best attestation and apostille services in GCC. Next Next post: Are You a Prospective Migrant to Qatar ?